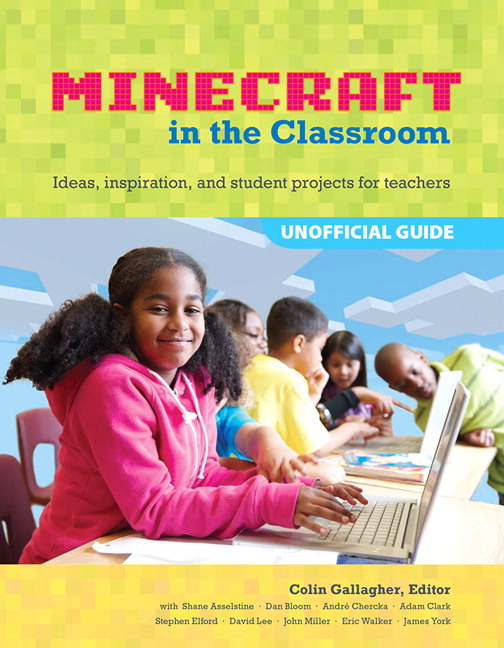 This book offers ten classroom projects from teachers teaching with Minecraft, for math, science, languages, and more. Each project includes learning objectives, project organization and tasks, and ideas for reflection and assessments. You’ll also find detailed instructions for setting up and running a Minecraft server in the classroom, both the regular and the popular MinecraftEdu versions. * What Minecraft is and why it’s such an engaging tool for the classroom. * How to set up and administer servers that students use for their projects. * What MinecraftEdu is, how to set up and manage it, and how to use its teacher controls. * Techniques for using the game in special-education settings. * Step-by-step instructions for printing 3D models of your classroom projects. * Ways to use the game in a variety of different subject areas. You’ll find essential advice and captivating projects for using Minecraft to enhance students’ learning experience from educators using Minecraft in the Classroom: Shane Asselstine, Dan Bloom, André Chercka, Adam Clarke, Stephen Elford, Colin Gallagher, David Lee, John Miller, Eric Walker, and James York. Colin Gallagher is an educator based in Singapore who loves computer games and using computer games in education. Colin is the host of Minechat YouTube channel and editor of edutechniques.com, an educational technology website. Colin have been named an Apple Distinguished Educator and a Google Certified Teacher and has given a TedX talk on bringing technology into the classroom.